Mills in Brazil’s South Central region processed 47.26 million tons of sugarcane in second-half August, which was on par with the 47.45 million tons processed during the same period in 2014. Antonio de Padua Rodrigues, technical director of the Brazilian Sugarcane Industry Association (UNICA), notes that “in the South Central region as a whole, the amount of cane crushed up to now is practically the same as last season, but in the state of São Paulo the season remains behind by more than 10 million tons.” If the crush in that state does not gain significant ground in September, it’s possible that the amount of cane remaining in the fields will be higher at the end of this agricultural cycle, he added. Continuing the trend observed in prior half-month periods, the amount of processed cane going toward sugar production in second-half August (43.21%) remained considerably below the level observed in the same period last year (45.26%). With that, sugar production in second-half August totaled just 2.84 million tons, a drop of 5.95% from 3.02 million tons in the same period last year. Ethanol production, on the other hand, was up by 2.36% in second-half August, reaching 2.30 billion liters versus 2.25 billion liters in the same period in 2014. Of the ethanol produced in second-half August, 920.27 million liters were anhydrous ethanol, and 1.38 billion liters were hydrous ethanol, an increase of 7.23% compared to the 1.29 billion liters produced in the same period last year. 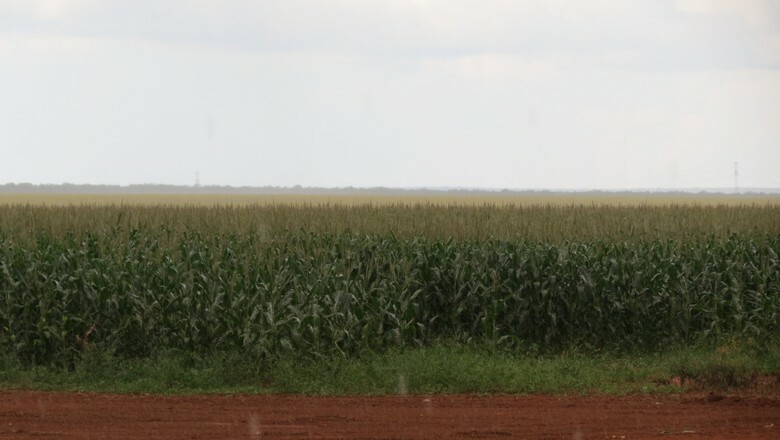 “The rains observed in first-half September should intensify the production mix toward ethanol and make it difficult for crush activities to proceed,” Rodrigues said, adding that, during wetter periods, cane quality drops and it becomes more costly to produce sugar. From the start of the 2015/2016 season through end-August, sugar production reached 19.20 million tons, a drop of 8.31% compared to the 2014/2015 season. Ethanol production totaled 16.65 billion liters – 10.56 billion liters of hydrous ethanol and 6.10 billion liters of anhydrous ethanol. “We’re with more than 60% of the season concluded, and sugar production remains behind by more than 1.70 million tons compared to the previous cycle, indicating that the migration toward ethanol at the end of the 2015/2016 season will be greater than what was anticipated at the start of the year,” Rodrigues said. The Total Recoverable Sugars (TRS) index per ton of processed sugarcane reached 145.89 kg in second-half August, versus 141.22 kg registered in the first half of the month and 147.49 kg in second-half August 2014. From the start of the crush in 2015/2016 through end-August, the TRS index per ton of cane totaled 129.44 kg, compared to 132.85 kg in the same period last year. Ethanol sales by South Central producing units remain strong and totaled 2.74 billion liters in August, representing a 34.26% increase from August 2014. Of the August sales, 2.48 billion liters went toward supplying Brazil’s domestic market, and 258.84 million liters were destined for export. Sales of hydrous ethanol into Brazil’s domestic market totaled 1.62 billion liters in August, an increase of 43.89% from 1.12 billion liters in August 2014. Sales of anhydrous ethanol into Brazil’s domestic market totaled 862.79 million liters in August, compared to 826.11 million liters in the same period last year. “The growth in ethanol sales in the domestic market stems from the boosting of the competitiveness of the biofuel versus gasoline, a fact that also helps to explain mills’ preference for the product in deciding on their production mix,” Rodrigues said. Figures from Brazil’s National Oil, Gas and Biofuels Agency (ANP) from last week indicate that the price paid by the consumer for hydrous ethanol was below 70% of the price paid for gasoline in the states of São Paulo, Paraná, Mato Grosso, Mato Grosso do Sul, Minas Gerais and Goiás. Together, those states account for more than 60% of Brazil’s light vehicle fleet.